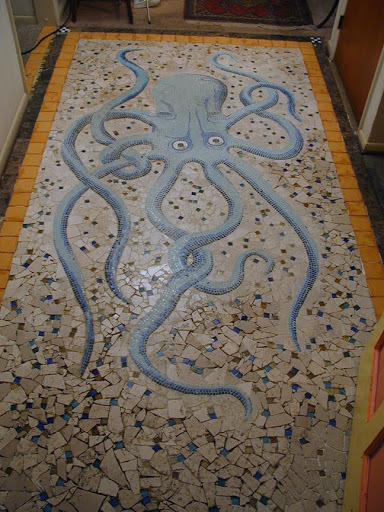 You know, I was thinking about this mosaic not too long ago, and couldn't remember where on the www I had seen it. It looks absolutely fantastic. I've been looking forward to seeing this project's progress and I'll echo the 'looks fantastic' comments. Great work Limpey! That's beautiful — i'm impressed by this. Very nice work! Very beautiful, a labour of love. Can you come and do my hall? red quarry tiles don't quite compare.